If you present regularly you’ll know the experience. You turn up at the venue but there are no markers. 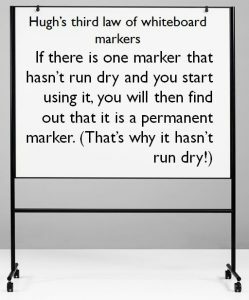 Or worse, there are markers but they don’t work because they’ve run dry. Or you’ve forgotten your watch and the room doesn’t have a clock. Or worse it does have a clock but it doesn’t work because nobody has changed the batteries. As a result of many experiences like this I now carry a presenter’s survival kit. Let’s look at what’s in it. 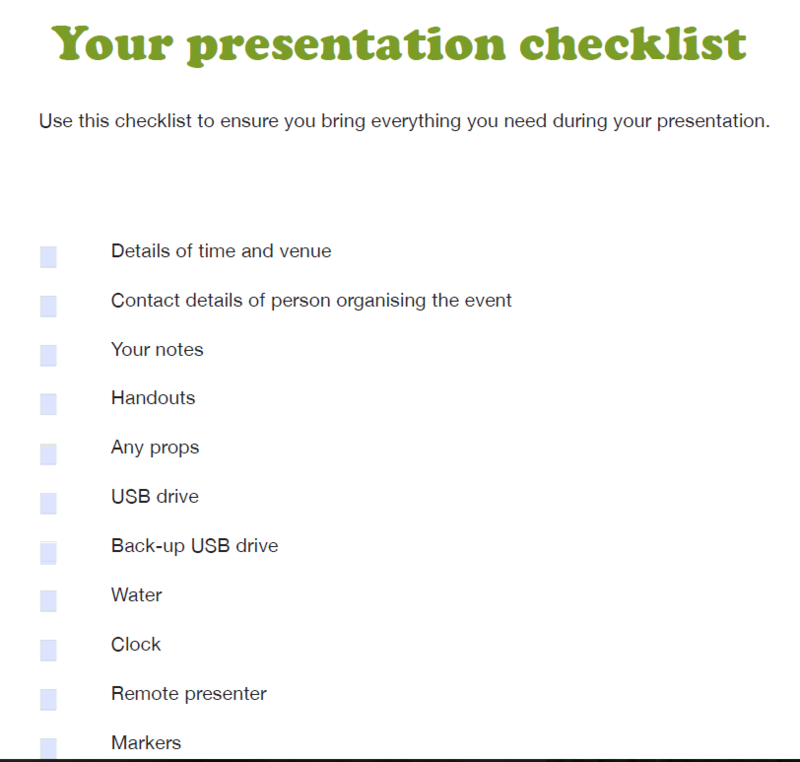 If you are going to be presenting regularly then a remote presenter is an essential part of your kit. They come with a USB stick that you put into the USB drive of the computer and that’s it. No software required. You get them in electronics shops and they cost between $50 and $100. 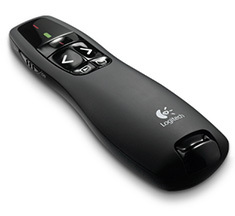 To use it you hold the remote presenter in your hand and by pressing a button move your PowerPoint forward or backward one slide at a time. This means you don’t have to stay beside the keyboard all through your presentation. Most remote presenters also come with an in-built laser pointer which is really neat for pointing out parts of your slide. It is useful to have a small clock that you can put on the lectern to keep track of time. It needs to be something that balances easily on sloped lecterns. It should have big digital numbers so that you can read it easily when you are blinded by anxiety. You can use a watch but it needs to have numbers you can read easily. You could use the clock in your mobile phone but what if it rings! The clock I use is a small travel clock that folds up so it can fit in my pocket. 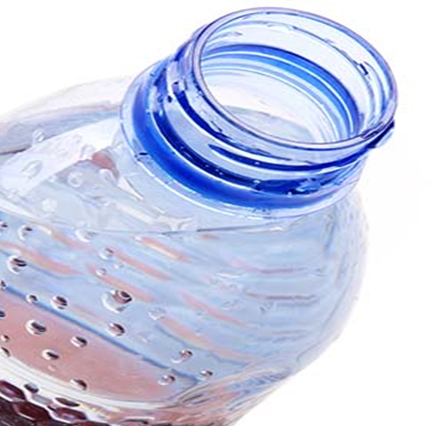 One of the symptoms of anxiety is a dry mouth and sometimes a dry throat. In addition, talking can dry up your mouth and throat. To overcome this, bring a bottle of water with you. Have a few sips before you start. And if you need to, have some sips during your talk too. 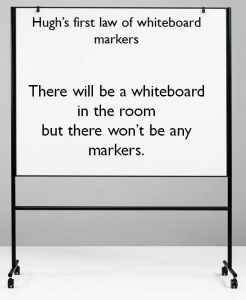 I’ve created some laws about whiteboard markers. 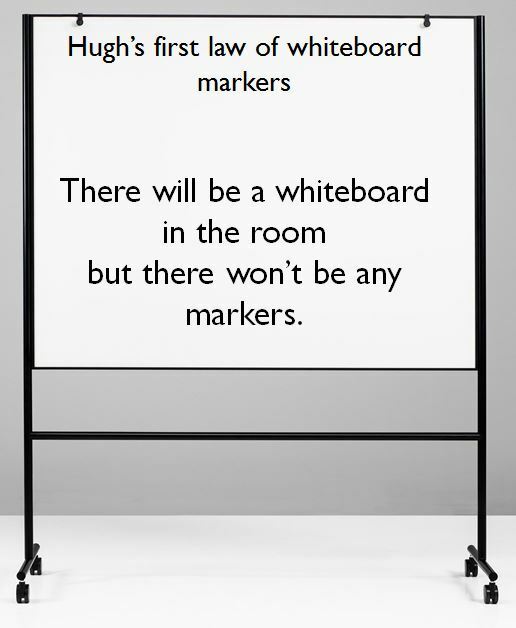 There will be a whiteboard in the room but there won’t be any markers. 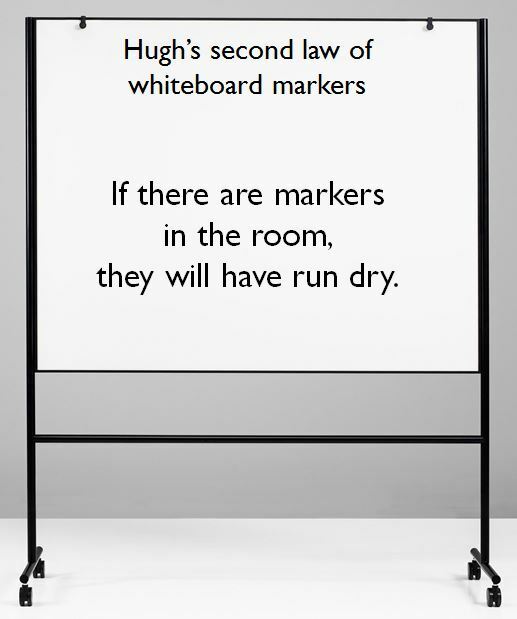 If there are markers in the room, they will have run dry. 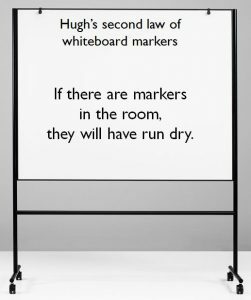 So to outwit these laws I bring along my own non-permanent whiteboard markers. 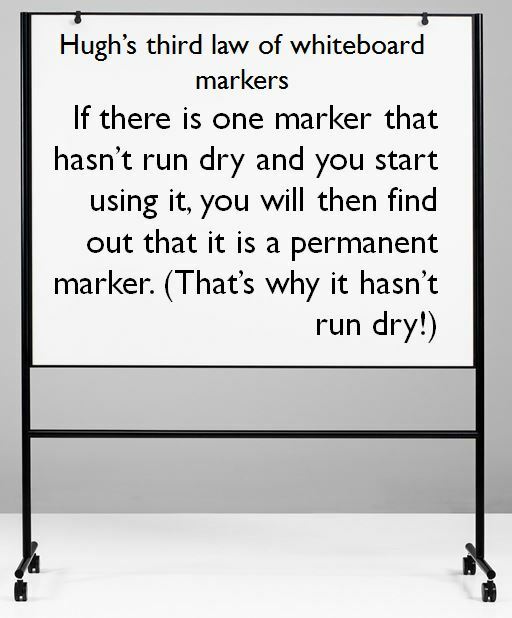 If you do find a non-permanent marker that works and you fill up the board you will then not be able to find a whiteboard eraser. Nor will you be able to find any tissues. You will be reduced to asking an audience member for a second-hand handkerchief. To avoid this embarrassing situation my survival kit includes a whiteboard eraser. 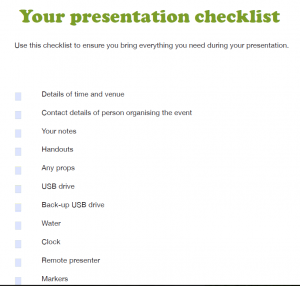 So before you set off for your presentation make sure you have your survival kit. Go through the checklist so that you don’t forget anything. You can download this checklist in the Free Downloads section of this blog.